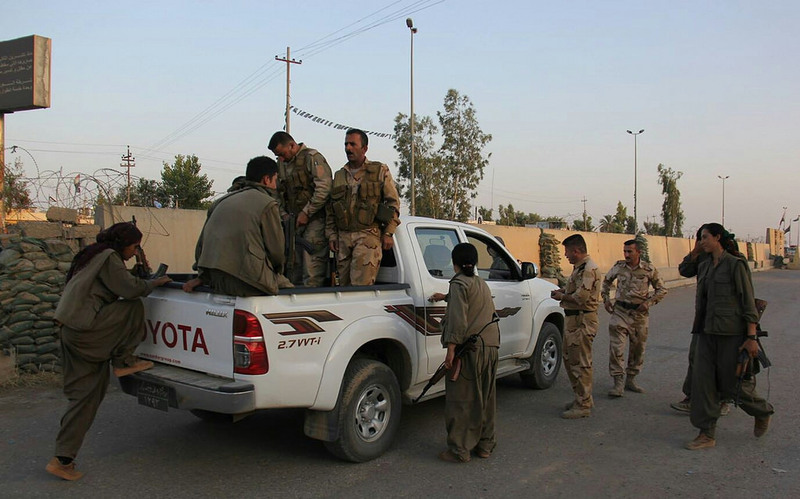 PKK and PUK Peshmerga on the way to the frontline in Kirkuk. By Kurdishstruggle. Does the presence of violent militias make civilian casualties more likely during conflict? Or, are regimes that intend to use violence more likely to create special agents to carry out this violence? It’s the proverbial chicken and egg dilemma. Currently, scholars and policymakers tend to emphasize the influence of leaders. In response to widespread and ongoing violence against civilians in Syria, for instance, many have placed the blame on the Syrian government, and specifically Assad. Although leaders and governments generally are responsible for the centralized decision-making that leads to regime-sponsored campaigns of violence, the existence of certain actors appears be an important factor when attempting to predict campaigns of violence against noncombatants. By providing leaders with the means to achieve the end they contemplate, the pre-existence of certain high-risk groups capable of facilitating organized violence tends to tip the balance in favor of such campaigns. A pro-government militia is one example of a high-risk group. The increased reliance on militias is a conspicuous characteristic of modern warfare. Reporting on this phenomenon is prevalent in daily news stories in The New York Times and The Guardian, as well as in articles in prominent policy-oriented magazines, such as Foreign Affairs or Foreign Policy. Sometimes references to these groups are positive (e.g. in Iraq), sometimes they recommend caution (e.g. in Mexico), and sometimes they are straightforwardly negative (e.g. in Sudan). The attention given to militias is hardly surprising: virtually every ongoing campaign of mass violence against civilians involves pro-government militiamen. In Syria, the Shabiha militia kills, rapes, and tortures civilians on a daily basis. In Darfur, the Janjaweed has burned down whole villages and murdered thousands of men, women, and children. In Nigeria, military-backed militia troops have been systematically targeting alleged supporters of the notorious Boko Haram, many of whom are unarmed civilians. Interestingly, in almost all cases where militias operate, the groups – or their forerunners – exist prior to the beginning of a campaign, many times acting merely as armed defense groups for local communities or as roving gangs. The pre-existence of militias offer violent leaders several advantages. First, they free the official military to handle real military threats, a crucial advantage during full-blown civil wars when an opponent is likely to be relatively strong. Although regular military forces have often shown themselves to willingly participate in organized civilian killings, having a group dedicated solely to this purpose provides a strategic advantage. Second, militias formed by locals offer another distinct advantage. Local militias are usually self-supporting and are familiar with the environment in which they operate, which helps them identify enemy supporters. Third, because the connection between the regime and the militia is often hard to establish, militias provide the regime with a plausible deniability mechanism in relation to the killings. This slows down the formation of domestic or international opposition, giving leaders more time to complete the campaign without facing serious sanctions. Granted, the pre-existence of militias can hardly be considered the main cause of organized state violence. But the focus on causality misses the bigger picture. In forecasting violence, what matters is not necessarily what causes what, but rather identifying the factors that are more likely to breed violence. And unlike regime intent, which is hard to establish, agents or actors within a given region or situation tend to be easier to observe. 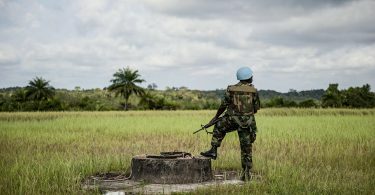 Before the Rwandan Genocide, for instance, Roméo Dallaire, the commander of UNAMIR, warned that the extremist government was training and supplying weapons to its militia, the Interahamwe. This knowledge could have been used to help predict the genocide, or at least warn that it was very likely. Or, consider a counter-factual scenario: would the Sudanese government be so quick to initiate its ruthless campaign against civilians in Darfur, which it views as the insurgents’ base of support, without the previous existence of the Janjaweed in the region? Many scholars who study political violence hope their work helps prevent it. As I show in a recently published article analyzing more than 270 episodes of internal violence, taking militias into account provides a predictive advantage in models designed to forecast large-scale, state-organized violence. Forecasting takes us another step toward prevention. For example, Kurdish and Shiite militias have assumed a prominent role in battling ISIS. To estimate the likelihood of violence in a post-ISIS Iraq, taking these groups into consideration would be wise; they are already powerful actors. Considering the enmity between the Kurds and Shiites, having strong and well-armed militias would facilitate violence for leaders hoping to prevent another full-blown conflict by removing the enemy’s base of support. For policymakers, it might be wiser to concentrate on efforts to improve the capabilities of the Iraqi army and fight corruption, rather than on strengthening militia forces. Ore Koren is a PhD candidate in political science at the University of Minnesota.